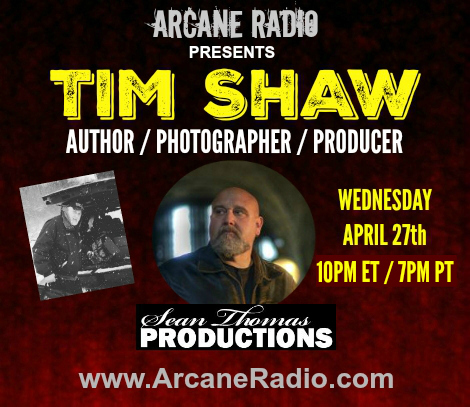 This week we welcome our friend & colleague, author / photographer / producer Tim Shaw to Arcane Radio. Rev. Tim Shaw has had a life long interest in the investigation of occult and esoteric subjects. The religion of Modern Spiritualism was introduced into his family in the 1880’s and thus he comes from a long line of psychics and mediums. Tim is also an Ordained Spiritualist Minister, Certified Medium, Reiki Healer – achieving the Master/Teacher level, trained Spiritualist Healer, Dowser, and Metaphysical Instructor. As well as following a traditionalist approach to paranormal research he also embraces new scientific techniques and methodologies used by the modern “para” investigator.